Challengers: Unfortunately there are no challengers for Amazon/Microsoft as per the report. Niche Players: Rackspace, CSC, Fujitsu, Verizon, Dimension Data etc. Unfortunately HP’s Public Cloud is too small to be considered in the report. As HP already announced their exit from Cloud Computing. Read more from Gartner Report here (Courtesy Amazon). Do you remember the old days some people predicted Microsoft will be a failure in Cloud. What do you say now? My intend is not a debate here, but people should not be judgemental for the sake of proving they are smarter one’s in the planet. 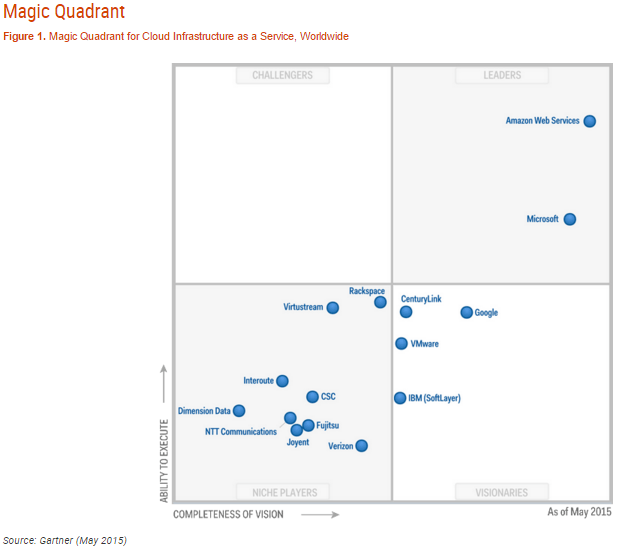 Let us admit AWS and Azure rocks..